They are useful for professionals of amateurs. 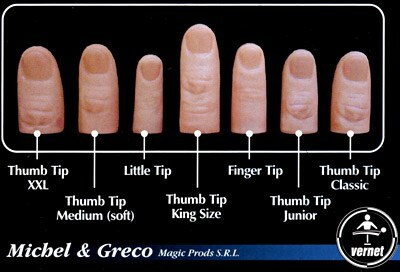 They can be used in close-up, parlour, stage magic or mentalism. You can perform appearances, disappearances, transformations, gags, and many more kinds of effects. With Vernet's Finger Tips you are ready to do real miracles in any place and at any time.